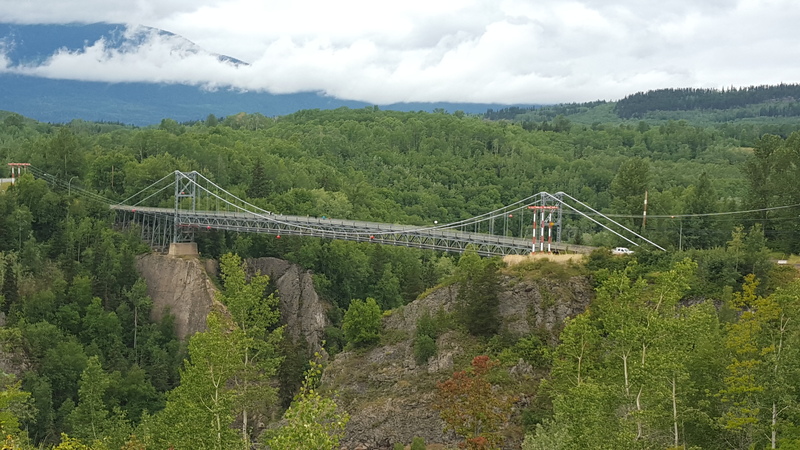 The British Columbia Ministry of Transportation and Infrastructure is the owner of this single lane suspension bridge with a main span of 140 m (459 ft.) and is 75 m (250 ft.) above the water. It is the only practical route to the local regional hospital and the community of Old Hazelton in central British Columbia. To keep this lifeline functioning it has been upgraded and modified several times over the years. The main span was built in 1931. Buckland & Taylor (a subsidiary of COWI) has been providing evaluation, design and supervision services to upgrade this structure since 1987. Numerous modifications were made to the original structure to increase its truck-carrying capacity and structural integrity, along with modifications to better resist lateral winds and earthquake loads. 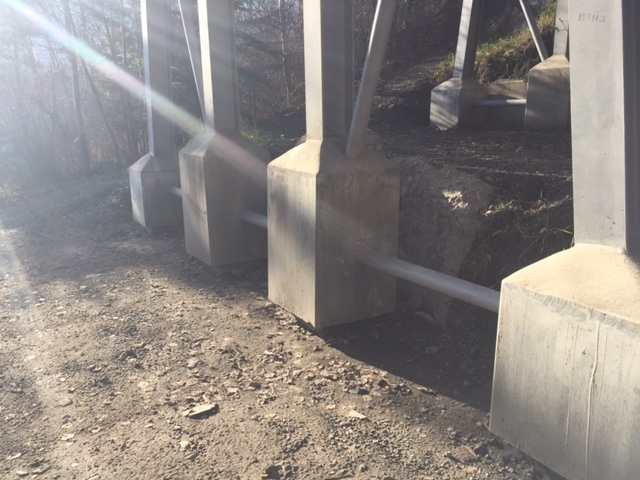 In 2015, the latest modification to date, Buckland & Taylor used Ductal® to encase the steel bent legs. 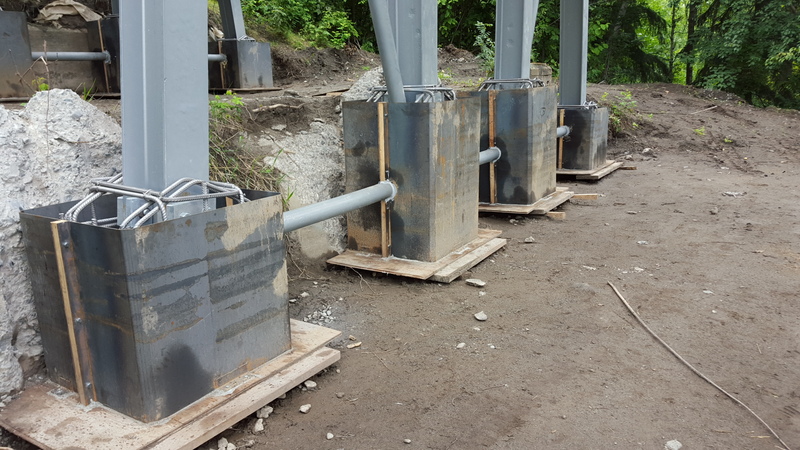 The bent legs of the bridge approaches had developed local corrosion at their base and a solution was required to strengthen these weakened zones and at the same time mitigate future corrosion. 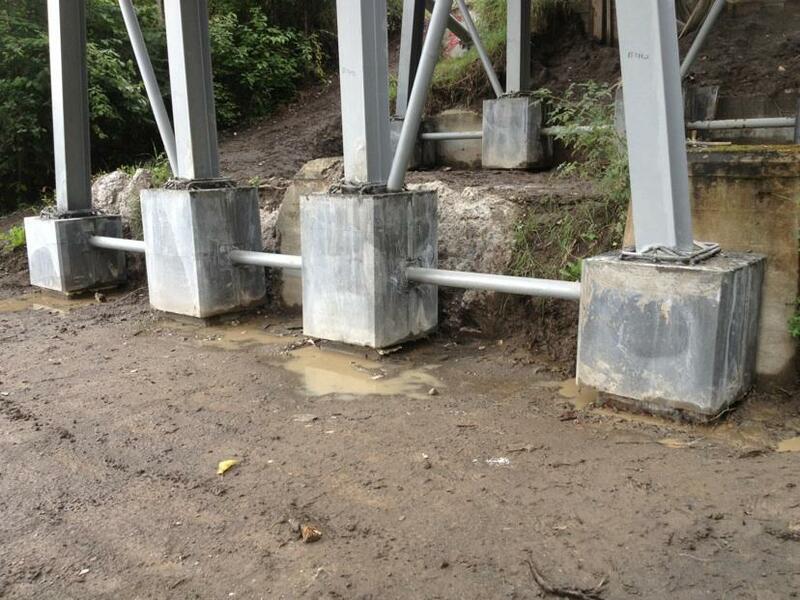 Because of access limitations, congestion and a small zone available to transfer concentrated load from the bent leg to its concrete pedestal, the solution demanded a very high strength concrete with excellent flow-ability during placement, virtually no shrinkage, virtually no permeability and good tensile capacity. The obvious choice that fit those characteristics was Ductal®. The design demanded a minimum compressive strength of 100 MPa. The load transfer is facilitated by the use of steel plates bolted to the flanges of the bent leg. This helps distribute the vertical load to the top of the Ductal® encasement. 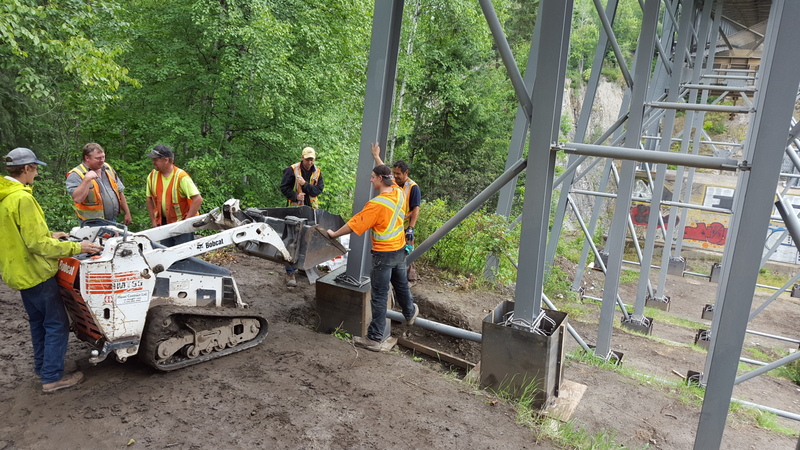 In total the rehabilitation involved 32 bent leg bases and will provide excellent corrosion protection and load transfer for many years to come.